us explore the nature of these two Mitzvos. 1) The Terumas Hadeshen (111) writes that the purpose is to ensure that the recipient have enough food to be able to have a minimal Se’uda. Therefore, only gifts of food and drink can count toward this obligation, not new clothes and the like. 2) The Manos Halevi explains that the purpose of this mitzva is to increase feelings of love and unity between Jews, as a rectification for Haman’s description of the Jewish people as “a nation scattered and dispersed throughout the nations” (3: 8). As such, one can fulfill the Mitzvah even with non-food items. 1) The Ksav Sofer (O.C. 141) discusses a case in which the Mishloach Manos was delivered anonymously. He explains that the halacha in this case would depend on the reason for the mitzvah. Clearly, the recipient benefits even if he doesn’t know the source of his gift, and if the point of the mitzvah was to provide for the recipient you have fulfilled your obligation. However, no fraternity and love is generated when the identity of one of the involved parties is unknown, and according to the Manos Halevi you have failed in your mitzvah. 2) If the intended recipient refuses to accept the Mishloach Manos offered to him, has the “giver” fulfilled his obligation? This is a disagreement among the Poskim; the Rema (O.C. 695: 4) rules leniently and the Pri Chadash maintains that in this case no mitzva has been fulfilled. The Chasam Sofer (O.C. 196) explains that if the purpose of Mishloach Manos is to provide the recipient with food for his meal, then this goal is clearly contingent on the acceptance of the gift by the recipient. On the other hand, the very offer of Mishloach Manos generates a feeling of friendship even if it is not accepted. 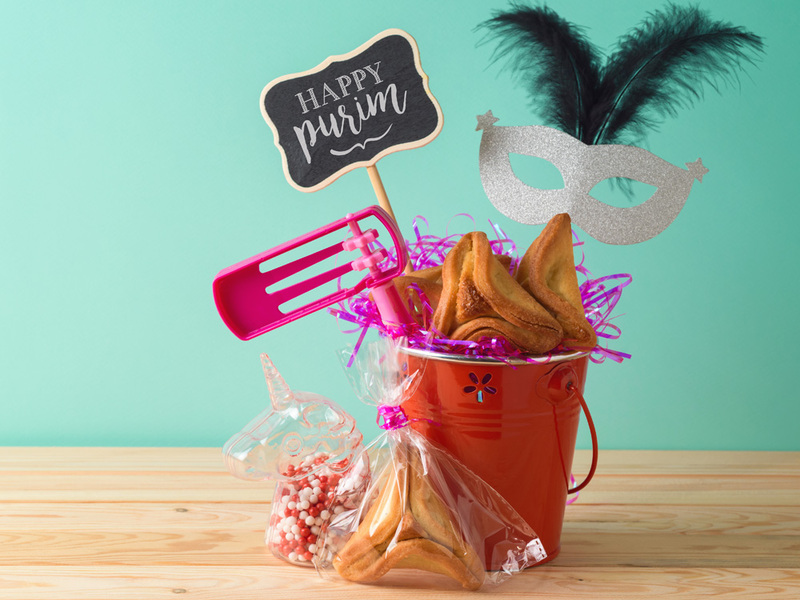 3) The Aruch Hashulchan (696: 3) writes that someone who is traveling on Purim cannot fulfill Mishloach Manos by having a family member deliver on his behalf. If the purpose of Mishloach Manos is to create an aura of unity and love, then perhaps the delivery must be performed in a personal manner (“ish le-re’ehu”, in the language of the Pasuk), not through an intermediary. However, if the purpose is to provide for the recipient you have fulfilled that objective even via the intermediary. Interestingly, the Mishnah Berurah (695,18) disagrees with the Aruch Hashulchan, and he actually cites an opinion that perhaps one can only fulfill the Mitzvah by sending Mishloach Manos with an agent, based on the term ”mishloach” appearing in the Pasuk, indicating specifically an emissary’s involvement. As far as Halachah Lemaisa, one should try to make sure that at least one Mishloach Manos is actually accepted by the recipient, and in a way that the recipient is clearly aware of who the sender is. Although not obligatory, it is as well advised to have at least one Mishloach Manos given directly and one delivered via an agent, to accommodate all opinions. That is the discussion pertaining to the first interpersonal Mitzvah of Purim, Mishloach Manos. Now we turn to the second interpersonal Mitzvah, Matanos L’evyonim – the requirement to give charitable gifts to at least two poor people (Shulchan Aruch O.C. 694:1). use, but to strengthen bonds of friendship, and this requires informing the recipient of the gift. As such, R&#39; Engel rules that since the Megila describes this mitzvah with the term “Matanos,” referring to this donation as a “gift,” we should treat it not as charity, but rather as a gift. In other words, Matanos L’evyonim differs from ordinary charity in that it must be given as a “gift,” and therefore one must inform the recipient. As opposed to other charitable donations to the poor, which should be anonymous, Matanos L’evyonim requires that the beneficiary knows from whom he received the gift. The Mitzvah of Matanos L’evyonim is intended to engender a feeling of friendship and affection among Jews, and this can be achieved only if the recipient knows the identity of the benefactor. 2) R’ Asher Weiss (Minchas Asher), on the other hand, cites the Rambam (Megila 2:17) as indicating that Matanos L’evyonim is supposed to be given to the poor in a way that brings the recipient the maximum level of simcha, which would seemingly be an anonymous gift, which helps to preserve the recipients&#39; dignity and protect him from humiliation. In his view it would be more logical to give Matanos L’evyonim anonymously. So how should one fulfill this Mitzvah on a practical level? Is there any way to accomodate all opinions? R’ Weiss actually has a fascinating suggestion to satisfy both views. He writes that one can fulfill the obligation of Matanos L’evyonim by giving food products to two needy people, who will assume that the gifts are for the purpose of Mishloach Manos, as opposed to Matanos L’evyonim. However, the giver can actually have in mind that he is fulfilling the Mitzvah of Matanos L’evyonim. This way, one is able to give Matanos L’evyonim in a manner whereby the recipients know who gave them the gifts, but without causing them shame.